Today Shane Allen, Controller of Comedy Commissioning for the BBC, has announced the return of the Comedy Playhouse season. In the past Comedy Playhouse has witnessed the debuts of Steptoe and Son, Are You Being Served? and Last of the Summer Wine which were all broadcast as one-off pilots before being developed into full series. 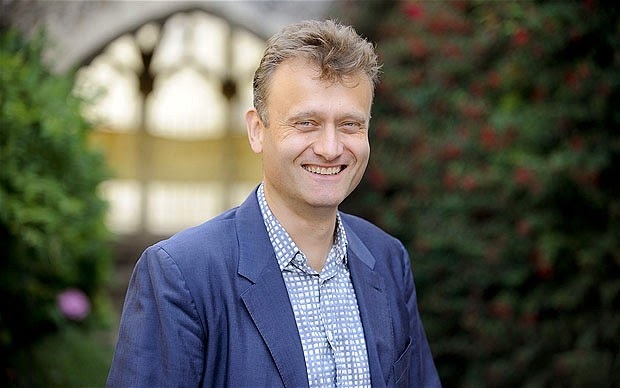 The first of the three pilots is Over to Bill which sees Outnumbered's Hugh Dennis play weatherman Bill Onion who is fired from the BBC. He then has to plead with his friend Jez to get him an interview with Channel 4 but this mean's impressing Jez's bride-to-be Selina. Co-starring Neil Morrissey, Tracy-Ann Oberman and Helen George; Over to Bill is written by Doug Naylor whose most famous for co-creating Red Dwarf. In Monks, Seann Walsh plays Gary Woodcroft who faces prosecution after years of dubious benefit claiming. Gary decides to hide in a monastery, which isn't the best idea seeing as the institution is facing closure and the Brothers are looking to recruit a new monk as soon as possible. The sitcom, which has been in development for some time, also stars James Fleet and Mark Heap. Finally, Miller's Mountain is a studio-based sitcom concentrating on a rag-tag bunch of Mountain Rescue Volunteers. Starring My Mad Fat Diary's Sharon Rooney alongside Jimmy Chisholm, Miller's Mountain aims to follow in the footsteps of classic Scottish sitcoms such as Rab C Nesbitt and Still Game.